ESET Security Researcher Stephen Cobb is representing ESET in a panel entitled “Health Privacy in a Fully Connected World” at the Healthcare Data Privacy Day event Academy of Medicine at Georgia Institute of Technology in Atlanta today. Hosted by the National Cyber Security Alliance (NCSA), the Healthcare Data Privacy Day event will explore the future of healthcare privacy and the trajectory of pioneering technologies that are changing the industry. 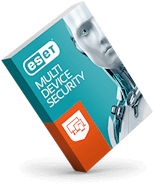 For more information about ESET’s perspective on this important issue, read Cobb‘s article on WeLiveSecurity.com.